We’re starting to enter the Rod Blagojevich Zone when the motions start flowing in, when the news heats up as the second trial approaches for the former Illinois government. The latest: Blagojevich’s attorneys on Monday asked a federal judge in Chicago to bar all FBI wiretapped conversations in trial, saying they are unreliable and out of context, the Associated Press reported. Lawyers argue that the recordings made days before his Dec. 9, 2008 arrest contain gaps that put things out of context. The trial, which promises to be another circus, is set for April 20 in downtown Chicago. 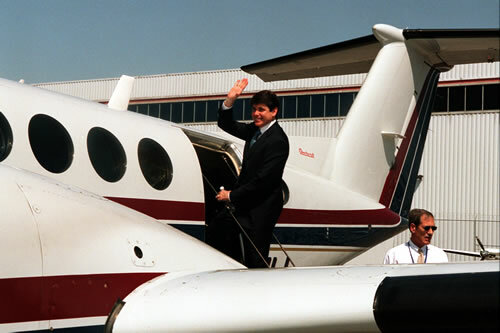 Blagojevich was convicted in the first trial on only one of 24 counts — lying to an FBI agent. The case was an embarrassment to the U.S. Attorney’s office in Chicago. Posted: 2/21/11 at 8:21 AM under FBI, News Story.